As many Houston residents experienced this past Saturday (4/13), in addition to hurricanes and severe thunderstorms, our city is no stranger to hail. Hailstones the size of a baseball fell on the city this past weekend, causing damage to homes and roofs throughout the Greater Houston area. Granules in gutters. When hailstones hit your roof, granules will often break loose. If you notice shingle granules on your roof or in your gutters, you may have hail roof damage. Hail impacts on shingles. 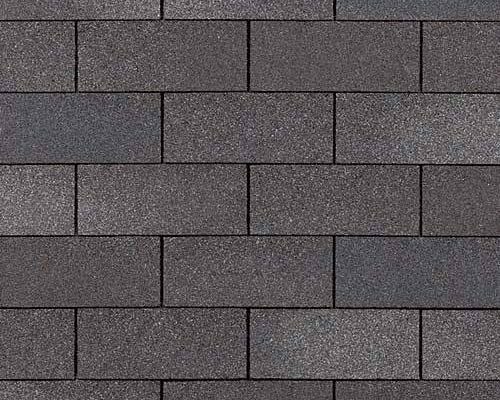 Hail impacts on shingles may show subtle spots or dents, bruises to shingle surfaces, or holes. 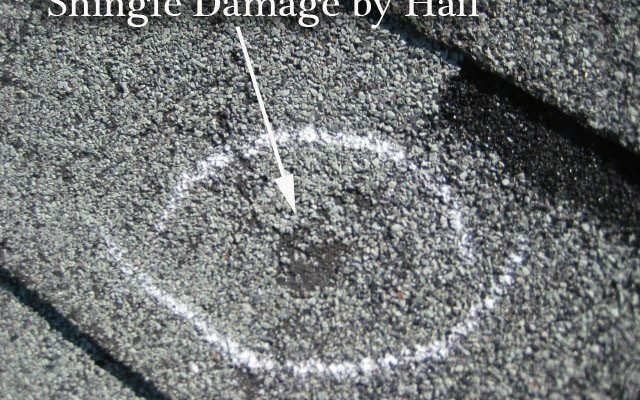 If you notice dark spots or dimples on your shingles, hail roof damage is likely. Misshapen shingles. 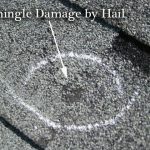 When shingles are damaged by hail, they may begin to curl from their original shape. This type of stress often leads to cracked shingles that weaken and age faster than intact shingles. Dents on metal parts of your roof. If your roof contains any areas made of metal, check for any dents or dings. 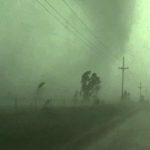 If you notice a substantial number of dents or dings, hail is the likely culprit. Split or dented shingles. 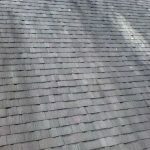 If you have wood shingles, hailstones can cause them to crack or completely split apart, thus compromising the strength and integrity of your shingles. 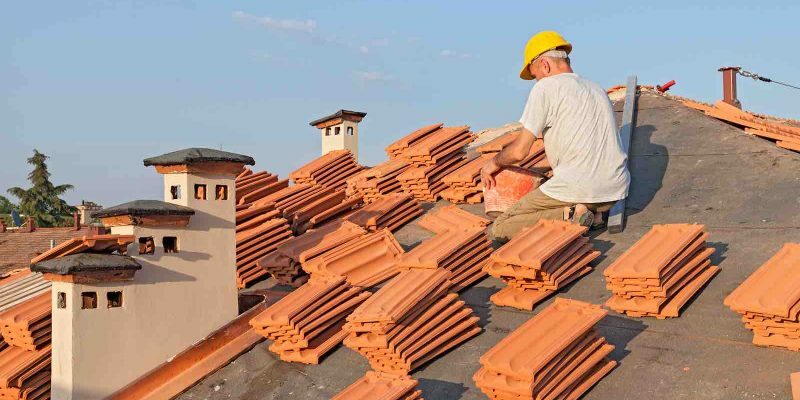 Although the aforementioned signs indicate possible hail roof damage, merely checking for these signs is not a full-proof method to determine if your home has experienced hail roof damage. The surest way to determine if your roof has been damaged by hail is to schedule a free, no obligation roof inspection with Amstill Roofing. 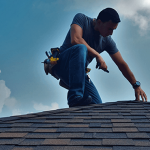 Serving Katy, Memorial, Sugarland, Energy Corridor, and the Greater Houston area, our Houston roofing company has been repairing and replacing roofs damaged by storms and hail since 1974. If your area was impacted by hail this past weekend, or in the past, call us today to set up an inspection by one of our roofing experts.